1. Provide a comfortable, healthy environment for occupants. 2. 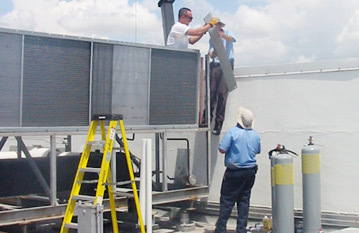 Minimize HVAC operating costs. 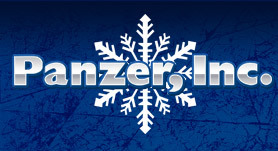 Panzer, Inc. is a family owned and operated state-licensed HVAC contractor. We are dedicated in furnishing our customers with the highest quality of HVAC service in the industry. Our attention to detail, promptness and punctuality has played a key factor in our success. Performing preventative maintenance inspections and keeping equipment running at peak performance are just a few areas where Panzer, Inc. excel. Our service department has been trained to handle any and all service calls from old to new and large to small. During unscheduled and unexpected downtime you can count on Panzer, Inc. to respond promptly and make repairs swiftly to get you back on track and keep you cool. Our customers satisfaction is our number one goal! Panzer, Inc. is a proven leader in the HVAC industry. We are consistently streamlining our operation to improve quality and procedures to meet our customers needs. We pride ourselves on our punctuality, attention to detail, and over all work ethic. Panzer, Inc. is dedicated to utilizing proven procedures, state of the art technology, and qualified personnel to nderstand, meet, and exceed our customer’s expectations. From maintaining and servicing our commercial and industrial customers to our residential customers we are here to keep things running smoothly and keep you cool. It is a fact that having a maintenance or service agreement on your HVAC equipment is the most affective way to extend its life and keep it running at peak performance. The cost of having a maintenance program in place on your HVAC equipment is the most economically efficient way to lower daily operating cost and drastically reduce the possibility of unscheduled break down or downtime. Each Panzer, Inc. customer has had a preventative maintenance program tailored specifically to fit there needs. Whether it be an industrial park, office building, or your home we can furnish a preventative maintenance program that will put your mind at ease knowing that your HVAC equipment is being serviced by the highest qualified technicians.All HVAC contractors are not created equally. Panzer, Inc. is committed to excellence in every aspect of our business from sales, maintenance, installation and service, to customer care and employee training.